Kids, by nature, often feel that they are entitled, which makes them less appreciative for the things that they have received, as well as for their experiences. It is the parents’ responsibility to enlighten their children about being grateful for what each has been given. And being able to raise grateful children would be the parents’ achievement. On this 12th episode of the Impressive podcast, Doctor Kimberley, in response to some of the questions from the listeners, will tell you how to instill the attribute of gratitude to the young ones. [00:00:08 – 00:01:59]: As part of the introduction, Doctor Kimberley emphasizes the importance of encouraging the children to be grateful after being showered not only with gifts during the Christmas season, but also with love and attention they’ve constantly received from the people around them. To raise children with the attitude of gratitude speaks about the children themselves and the kind of parents they have. On the side note, she promotes Quirky Kid and Brite Child, the two websites that listeners can visit and send their future questions. Doctor Kimberley: This is episode 12 of Impressive. I’m your host, Doctor Kimberley O’Brien. Thanks for joining us again this week. I’m so glad to be talking to you about the idea of gratitude, and how to raise truly grateful young people. It’s particularly important, I think, after Christmas and, you know, the season of giving. Sometimes, it seems the kids are not as appreciative as you may wish they were after they receive a big pile of presents. And, how do you raise really grateful kids? Well, today, we’re going to talk about it, and we’re using our Q & A format again like we did in the last couple of episodes of Impressive. And the reason for that is because listeners are writing in with questions. And if you’d like to do the same, you can, just drop us an e-mail at support@quirkykid.com.au. That’s support@quirkykid.com.au with your quick question for Impressive. Or alternatively, if you’d like to write lots of questions on a regular basis, you can, and you’ll be given an almost immediate response if you go to BriteChild.com. Now, Brite Child is a new initiative powered by Quirky Kid. The psychologist, the Quirky Kid, are now available for a subscription fee. If you would like to have an expert that you can access anytime, anywhere, you can just write a question to BriteChild.com, and we will respond to you within probably about 48 hours. So, take a look there if you want to find out more. [00:02:00 – 00:05:01] Here, Doctor Kimberley acknowledges Mo’s question, which is about why parents think teaching their children the attitude of gratitude as that important. For one, the egocentric nature of their children apparently displeases them. And so, being the young ones’ first teachers, the parents must be able to role model gratefulness, so that the kids could be able to absorb this attitude. With that, Doctor Kimberley helps parents to try assessing themselves on how much they’ve done as gratitude role models. Q: What if you don’t really feel like saying thank you? Why do parents think it’s so important? Why is being grateful such an important job? Doctor Kimberley: That’s a good question, Mo. What if you don’t feel like saying thank you? Well, for one, it would be probably irritate your parents and possibly the person who gave you their time or attention or, you know, a gift. But it’s more around this social expectation that if somebody gives you something or if you received something, you should be grateful in return. And if you think about as a parent, do you project an attitude of gratitude? Just consider right now what you’re thankful for. So, what are the first three things that come to mind? Something you’re grateful for could be the environment, your health, your friends and family, maybe your career, your cause that you’re doing right now, something you’re learning, one of your favorite hobbies, or your business. These are often things that adults are grateful for. But it’s quite an interesting concept; children don’t usually give much thought to any of those, those items that I just listed. But if you think also about how you role model gratitude as a parent, how do you suggest to your children that you’re grateful for, say, the environment? Do you collect plastic, or turn off your ignition if you parked? To save the environment, do you speak out about what you do to appreciate those things that are important to you? Or do you exercise daily to show that you are valuing your health? Do you tell your friends and family, or show them that you really do feel grateful that they’re there? So, thinking about how you would project gratefulness and what your children can learn from your actions is also a really a good place to start when it comes to raising grateful young people. When you’re thinking about your workplace, your cause, or your business, do you do things that show that you’re, you’re striving to learn new things or that you’re trying to grow something bigger and better because that would be an indication to the children around you that this thing is really important to you and you value it. And so, it’s not about so much what you say, it’s more about what you do. So, when you think about maybe the number of times you’ve thought or said ‘be grateful,’ that’s probably not going to make a big difference to the young person. Being totally grateful often really just makes kids feel guilty for not saying ‘thank you,’ or for not doing what they’re supposed to do about teaching kids to be grateful is quite a challenging and complex type of new skill, so let’s talk about it some more. [00:05:04 – 00:07:01] In addition, encouraging toddlers and even those who are in early adolescence to be grateful is important because, as Doctor Kimberley has said, “being appreciative of what you’ve achieved makes it all worthwhile.” Take time and think about what you have received right now, so you will be able to recognize the full worth of each of them. Doctor Kimberley: So, we know that being grateful is important. But what if you feel a bit like Mo, and sometimes you don’t feel like saying ‘thank you’? Well, let’s have a think about why being grateful is an important attribute that we’ve heard so much more about in recent times about, you know, cultivating an attitude of gratitude and doing daily rituals to show that you do feel grateful for the things and the, you know, the benefits that you have in your life. Yes, and why is that so important? Let’s have a think. Well, if you take everything for granted, say, for example, you just are feeling like things are flowing your way and that’s just the way it should be, well, you know what, it’s often likely to lead to greater accumulation of material goods because lack of appreciation for the small things can mean that you kind of crave for more, and then you have to work harder to achieve more. And you turn into this kind of, I guess, personal treadmill that you have this cycle of endless work because you’re not spending enough time appreciating the rewards of your labor. So, being appreciative of what you’ve achieved makes it all worthwhile. So, it is important to stop and take a deep breath, think about where you’ve come from, what you’ve achieved, and to really appreciate all the extra helping hands that people that have supported you along the way. And, you know, the lucky breaks, the different ups and downs, and the interesting turns of events that often take you from A to B. Just appreciating all those things really does make that journey worthwhile, and it’s worth retelling those tales to the young people around you, so they also can appreciate that it’s not just all about hard work, there’s a lot of pausing and feeling grateful, so that you want to feel motivated to continue achieving and appreciating all the good things that come your way. [00:07:02 – 00:08:00] Kimberley promotes the Power Up! program, which can help kids aged 7 to 11-years-old to be prepared for future events and performances. Doctor Kimberley: Now, speaking of gratitude and being grateful for all the gifts that we’ve been given, whether that be physical attributes or academic achievement, or performance, this is a great time to mention the Power Up! 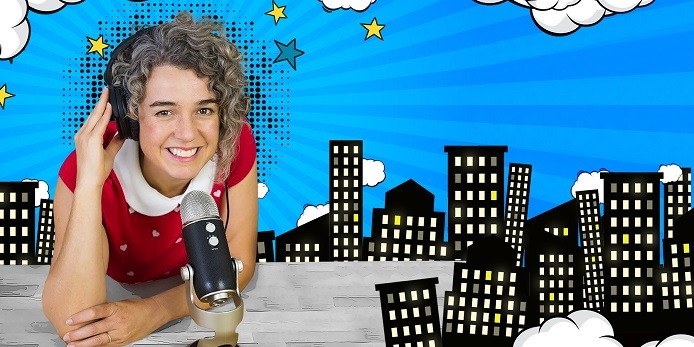 program, which is a Quirky Kid program for children aged 7 to 11 years. It’s completely online, and so you can do anywhere, where you happen to be in the world if you’re preparing for an event or a test, or a performance, or some sort of like track meet, athletics kind of all. This is the kind of thing that children at the Australian Institute of Sport have used to make sure that they’re ready for their performance. So, if you’d like to find out more about Power Up!, please go to QuirkyKid.com.au, and for $39.99 AUD, you can have the whole kit sent your way, so you’re prepared for your next performance. And I’m sure that you will be achieving at your absolute best with those supporting you at the sideline. [00:08:01 – 00:10:35] Following the Q&A format, Dr. O’Brien begins to read some of the questions coming from the listeners, then answers them. The first listener wants to ask for tips on instilling gratefulness to his five-year-old. And it is Dr. Kimberley’s suggestion to have the child engage in random acts of kindness where he could see and feel the impact of gratitude. Q: What can I do with my five-year-old to encourage him to be grateful? Doctor Kimberley: So, I thought I’d give you a tip for children aged 2-14 years. One of my suggestions is about random acts of kindness. So, doing something for others is a great way for other people to model gratitude while you and your young person watch on and feel good about yourselves. So, let me give you an example. If you work to, say, for a two-year-old, encourage them to pick some flowers, and then go on deliver those flowers to somebody close by. I’m pretty sure that person would be very grateful, and that two-year-old will get to see what it looks like to say ‘thank you’ and to accept that beautiful offering with a big smile and lots of appreciation. So, that’s teaching a very young person how to be grateful, just by doing a random act of kindness. And now for children who are living older than that, say, 5-year-old’s, you can encourage them to stack up their unwanted books or even toys, and then deliver them to a charity of your choice in your neighborhood. It’s best to deliver it in person because then they get to see the person who receives the goods feeling really grateful and appreciative. And they can also feel that; your young person will feel good to know that those toys are going to go to a really good place, so their books will be appreciated. All the proceeds will be passed on to that, the ages that you’ve just gone to visit. So, I would recommend going in person. And the same, if you’re a 12 or a 14-year-old or a parent of an early adolescent, raising money for a good cause is also a great way to teach young children to have an attitude of gratitude. So, if they were to choose a cause in, again, in the local areas, it’s a really good place to start, so they can choose something that they think is important. And a couple of examples, homelessness is often an issue and it’s something that we can see, and we know is an issue. So, you could encourage your young person to collect cans of food from neighbors to deliver to a homeless shelter or even to help out, so they can see face-to-face what it’s like to help out in a homeless shelter and to serve up some meals if they’re able to, or to help in any way, shape or form, so they can see what gratitude looks like when they’re at the receiving end. And that’s why it’s important to encourage kids to give, so that they really do know how to receive. [00:10:36 – 00:12:38] Question #2 is exactly the same as what Mo asked. Doctor O’Brien believes that kids find it awkward to receive too much attention, which explains why they have the tendency to avoid situations such as having to say ‘thank you.’ To outgrow their anxiety, Doctor Kimberley says that you should be the role model and let them learn your actions. Also, do not force children to do things that they don’t feel like doing. There are lowkey ways to express gratitude that you can teach your child. Doctor Kimberley: Now, here’s another question that I thought would be interesting to include. Q: What if kids are resistant to saying ‘thank you’? Doctor Kimberley: So, that sounds like Mo before when he didn’t really feel comfortable saying ‘thank you,’ and these things do happen. Some kids just don’t really feel that confident, sometimes, saying ‘thank you’ when they don’t feel like it’s that important. So, they would rather slip out and just avoid it if possible. So, it’s a little bit like kids sort of just a bit avoidant when it comes to saying ‘hello,’ ‘goodbye.’ They find it a little bit too much under the spotlight. Some kids just do not like to receive awards at school; they’d rather just fly under the radar. And that’s the same with kids that don’t often want to say ‘thank you’; they might just find that drawing attention to themselves is a little bit uncomfortable. You can always suggest afterwards when there’s not an audience to say what about if you write a thank you note or quick text or e-mail to show that your appreciation, which is something that kids that don’t like a lot of attention, will often jump onto the opportunity to do something that’s a little bit more lowkey. Another thing kids often do like to do is to make something in return, and then deliver it secretly. So, it could be that they didn’t say thank you to their teacher, but the next day, she comes in and finds a homemade card on her desk and feels very appreciative. So, if the young person seeing how that made her teacher feel, but they didn’t have to opt to say thank you face-to-face, so they have avoided that, but did mention to do the more of a secret homemade delivery when the teacher wasn’t there. So, considering some of those options may also be helpful. [00:12:39 – 14:16] And the last one is about if there are kids who exude more gratitude than other kids. Apparently, the child is influenced by the people around him and the environment where he was brought up. As this episode draws to a close, Doctor O’Brien wishes the listeners to continue listening to Impressive, and share the podcast to others. Q: Are some kids naturally more grateful than others? Doctor Kimberley: Well, yes. It does depend on the environment that the young person was raised in. So, if the young person is raised by grandparents and other cares, multiple cares that are very grateful and good at role modeling being thankful, then that is typically one of those behaviors that were rubbed off. And young kids will find it quite easy to say ‘thank you.’ And interestingly, I’ve heard that even elderly people that have dementia were saying their ‘pleases’ and “thank yous.” It’s just one of the last things that they’ll lose because it something that’s quite ingrained in us as humans to say ‘thank you,’ ‘please’ if it comes quite automatic. So, remembering to try to encourage the kids to say it with heart and authenticity using eye contact, so that there is some connection to the words, and that it is something that is said with meaning. And now, speaking of saying ‘thank you,’ I’d like to say thank you to all the listeners of the Impressive. It’s a relatively new podcast, and I would be so appreciative if you could share it with somebody you care about—a colleague, a friend, family member—who may also appreciate learning about gratitude and how to raise kids that are grateful. I hope that you’ll continue to listen next week, so don’t forget to subscribe to the podcast on your podcast app, and we’ll see you next week. This was Impressive.